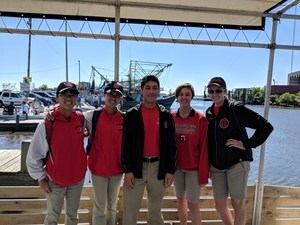 Students participate in coastal restoration field trips organized by the Coalition to Restore Coastal Louisiana. 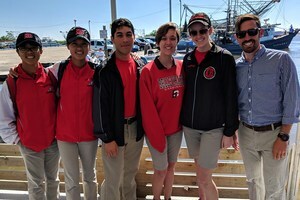 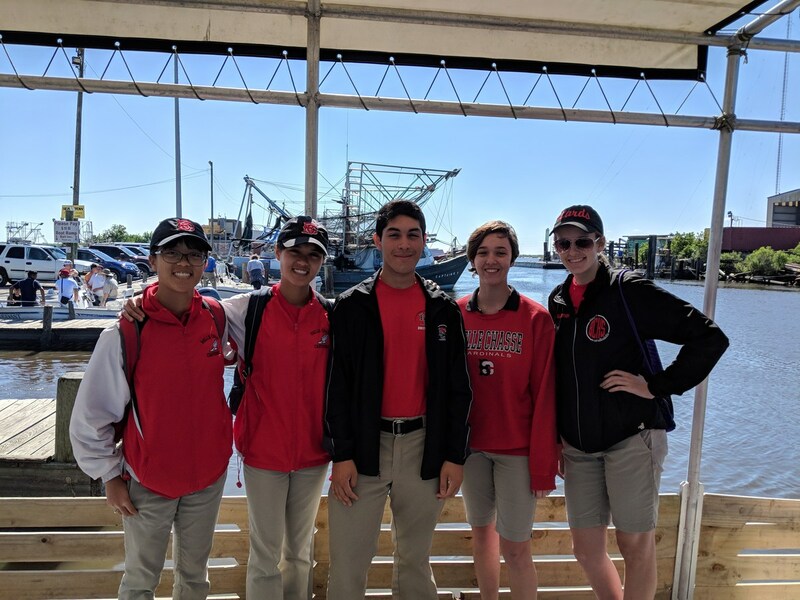 On Tuesday April 24th students from Belle Chasse and Pheonix High Schools participated in their second of a series of coastal restoration field trips organized by the Coalition to Restore Coastal Louisiana. 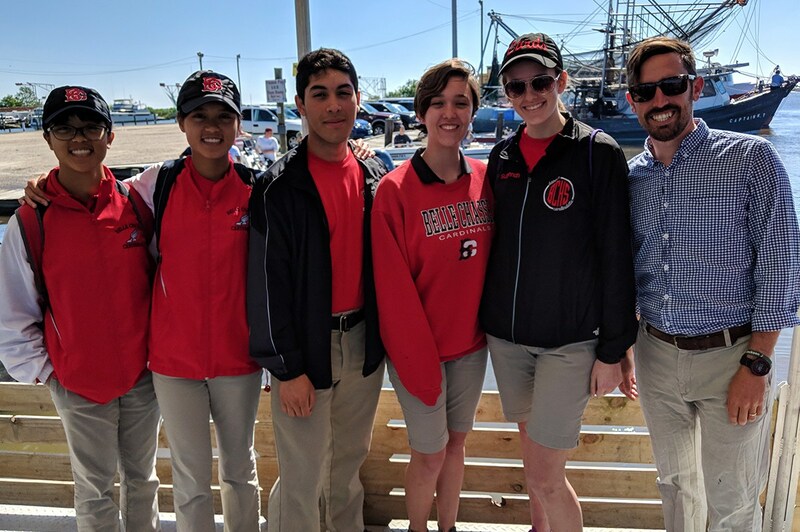 Students saw first-hand the multiple layers of defense needed to protect our coast including physical structures built by the Corps of Engineers and marshland protected and restored to absorb storm surge energy. 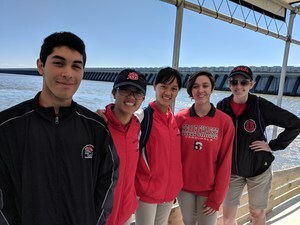 They boarded boats and rode out to the IHNC Lake Borgne Surge Barrier, the 1.2-mile long reinforced concrete wall reducing the risk of flooding from the lake and the Gulf. They discussed the effect increased salinity from the MRGO had on inland freshwater habitats and the flood pattern seen from the funnel-effect of the MRGO and IGWW during hurricane Katrina. 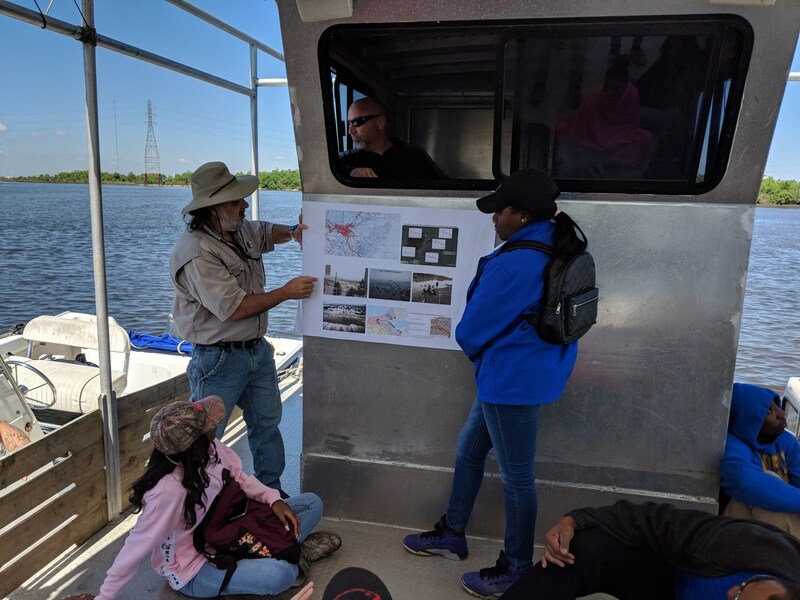 Additionally, students traveled to the Bayou Binevenue Wetland Triangle and saw the damage salt-water intrusion had on the once vibrant cypress marsh there while discussing the importance of natural lines of defense like this for our city.